Every organization needs internal controls to safeguard assets, assure accounting data is accurate and reliable, promote operational efficiency, and encourage compliance with prescribed policies and procedures. The start of a new year is the perfect time to take a fresh look at these controls to see how they measure up. A good internal control system consists of four elements. Personnel recruitment policies that ensure competent individuals are hired. 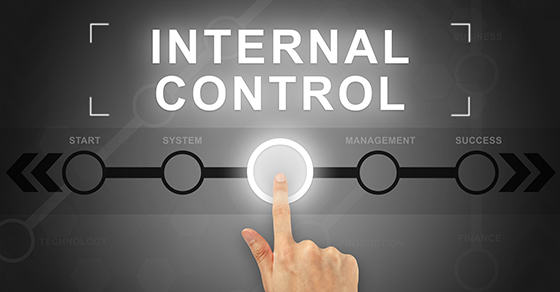 Here are some recommendations to help you maintain a good internal control system. Maintain a cash receipt log independent of the bookkeeper and reconcile it to the cash receipts. Restrictively endorse checks upon receipt. List all mail receipts when mail is opened. Prohibit the bookkeeper from cash handling, including petty cash and bank deposits. Issue duplicate, pre-numbered cash receipts for all cash and checks received that are more than the specific dollar limit established by the board. Reconcile copies of the pre-numbered cash receipts to the cash receipts journal and deposit slips. Retain copies of the deposit slips validated by the bank or proof of deposit reports for online deposits made through a check scanner. Have two individuals count and verify all cash received from sales made without using a cash register (e.g., a food booth). Make all disbursements—except petty cash—by check. Require all purchases on company credit cards to be accompanied by receipts. Support each check with an approved voucher. Use a “paid” stamp to cancel supporting documentation or invoice after payment. Review and approve signing authority for vouchers and checks annually. Prohibit the bookkeeper and executive director from signing checks. Have separate individuals approve vouchers and sign checks. Have the board establish a maximum dollar limit for each authorized signer. Require two signatures for checks above a board-stipulated dollar amount. Limit access to the supply of unused checks to authorized personnel. Require the board or finance committee authorize all withdrawals from, and transfers between, bank accounts. Appoint an individual authorized by the board to approve the executive director’s expense voucher. Require receipts for all petty cash disbursements. Have each petty cash fund in the custody of one person. Prohibit the bookkeeper from maintaining petty cash. Require at least monthly submissions of petty cash vouchers for reimbursement. Have the board establish the number and dollar amount of petty cash funds. Prohibit employee IOUs in the petty cash fund. Prohibit cashing personal checks with petty cash funds. Require the employee and their supervisor sign all time cards. Ensure the supervisor signing time cards has a personal knowledge of the hours the employee worked. Line out, correct, and have both employee and supervisor initial all time card errors. Prohibit the use of correction fluid on time cards. Assign an individual independent of preparing payroll vouchers to receive and distribute paychecks and monitor direct deposits. Require that bank reconciliations are performed by those whose duties do not include cash receipts and disbursements or account posting functions. Have bank statements mailed directly to that person. 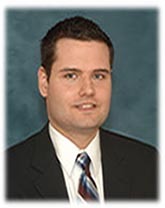 Have executive director or treasurer review reconciliations monthly. Reconcile bank statement balances, checkbook, and passbook balances and general ledger and cash balances monthly. Have all bank accounts established and closed by approval of the board. Require executive director to review and approve all general journal entries. Present the balance sheet and statement of operations to the board for monthly review and approval. Include all activities and sponsored programs in the general ledger. Train an employee to serve as a backup bookkeeper. Include all accounts in the general ledger—either actively or summarized—in financial reports presented to the board. Segregate accounting duties. Nonprofits should have at least two persons responsible for elements of accounting and bookkeeping functions. Alternatively, consider outsourcing this function with a virtual CFO. Adding background checks to your hiring routine, especially for any staff that will be managing payments and will have access to bank account information. Leverage software that crunches the data for you and compares payroll numbers and output with algorithms. This data can often be the first hint that a fraudulent scheme is underway. Generally, developing strong controls and maintaining a tight watch over your accounts can help you both prevent and catch fraud. The professionals in our office can assess your fraud risk and provide you with a comprehensive and personalized plan to mitigate that risk. Contact one of our professionals today for more information.